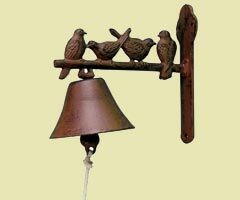 A selection of cast iron bells and dinner bells which could just be that unusual present you are looking for! Four birds on a perch. 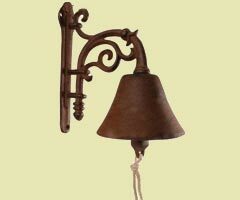 Very attractive and visable door bell in a rust finish. 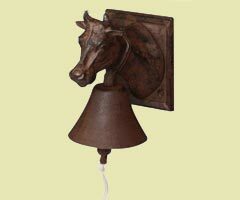 This would be a great bell in the kitchen to tell everyone that dinner is ready. 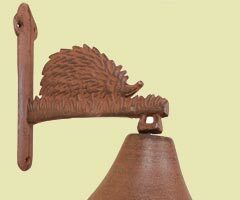 A beautiful door bell or dinner bell - excellent value for money. 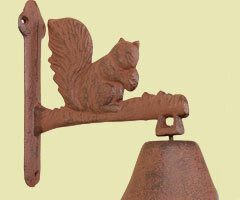 This is one little squirrel you will be happy to have in your garden! 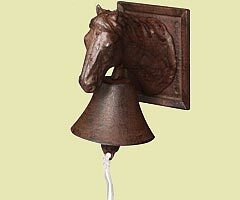 This door bell would make a great gift for any horse lover or country home. 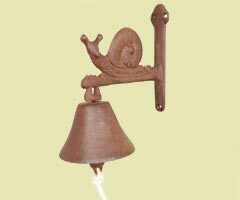 A fun door bell or dinner bell - why not give it to the gardener in the family! A really sweet bell. Everyone will love this one. Will look superb by any front or back door. 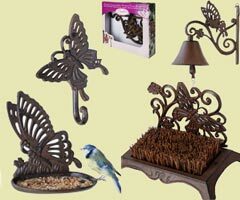 A range reasonably priced gifts for gardeners. 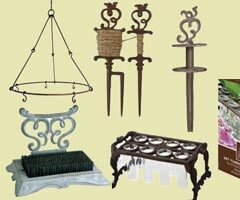 Includes herb/flower drier, cuttings rack, boot scraper, hosepipe guide, hose holder & garden line.